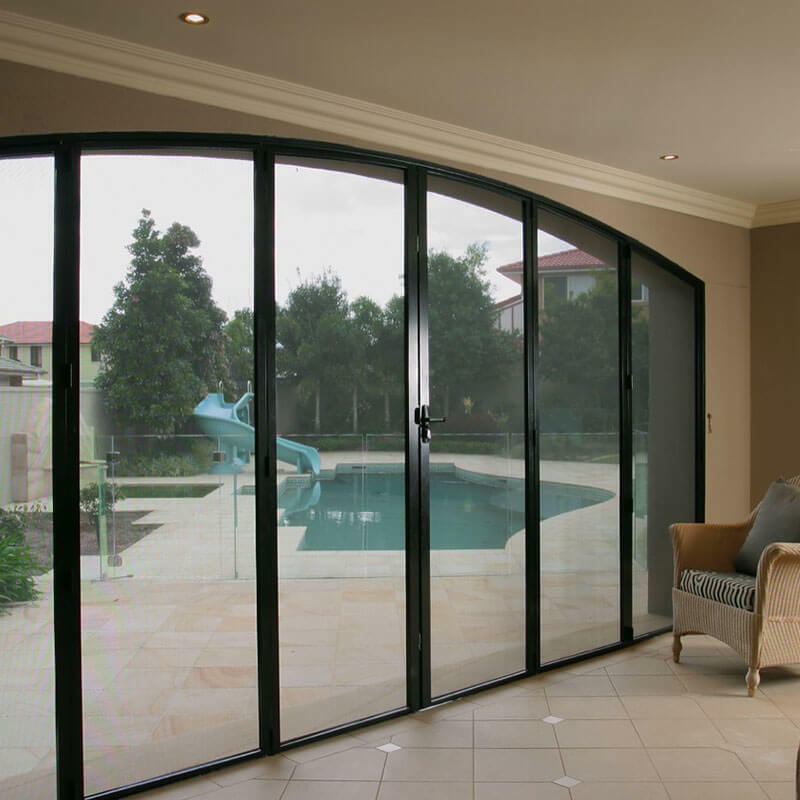 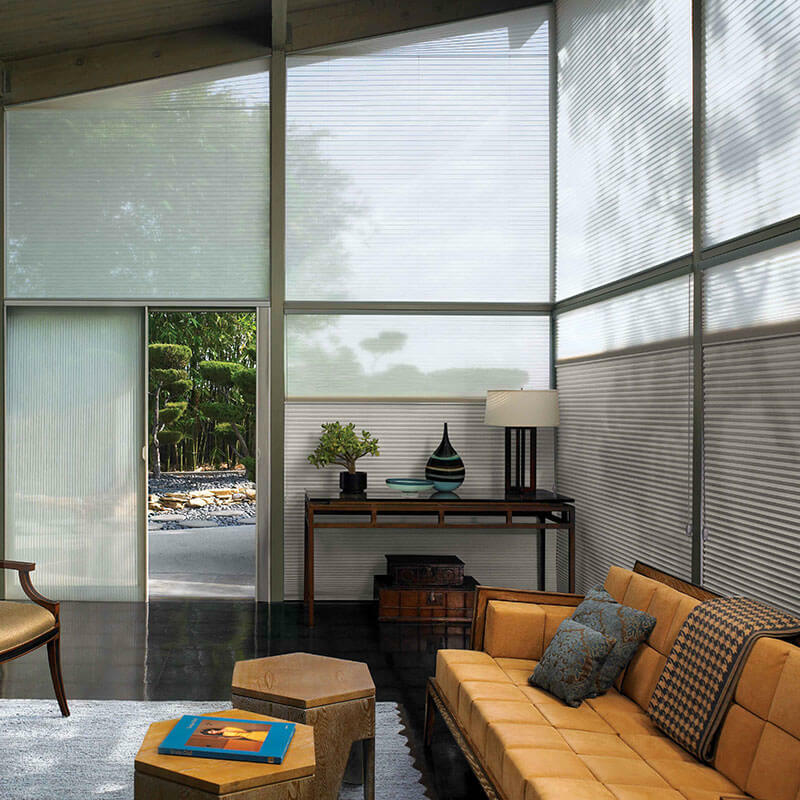 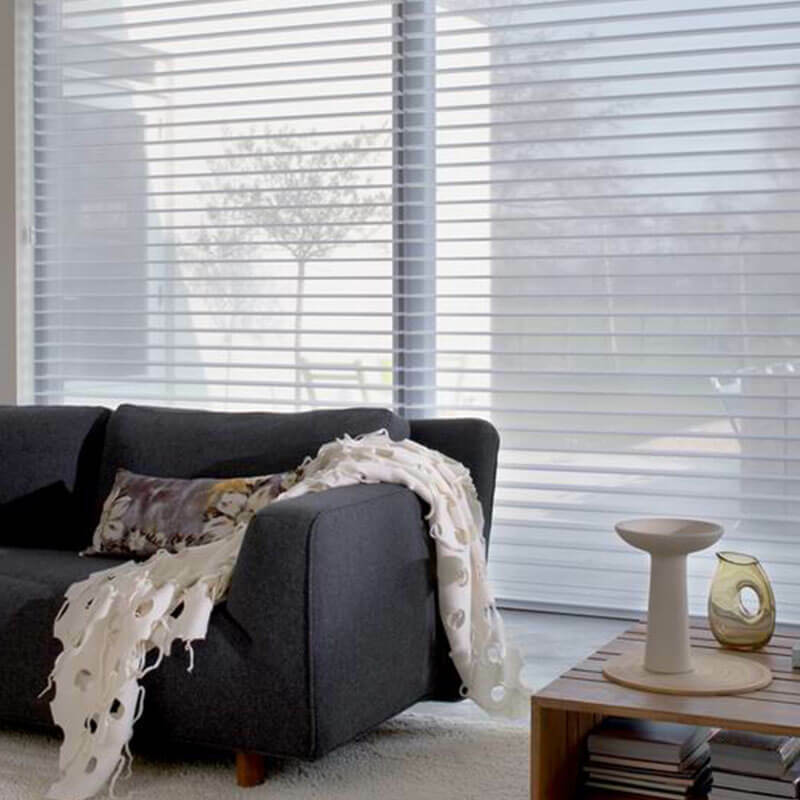 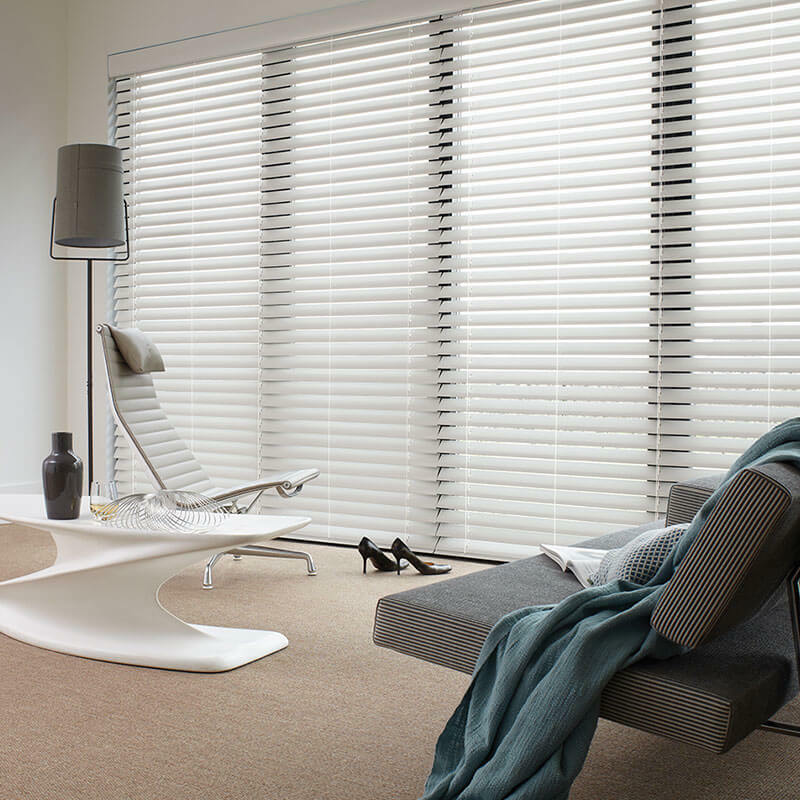 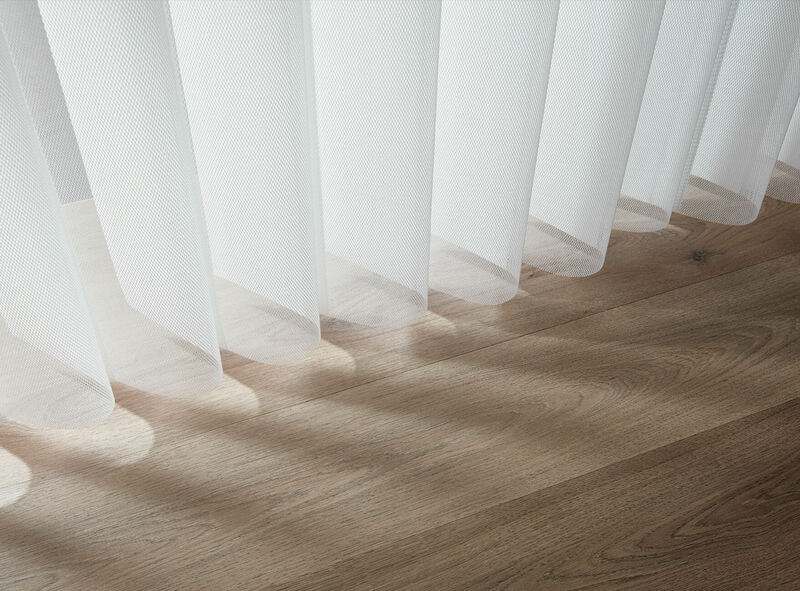 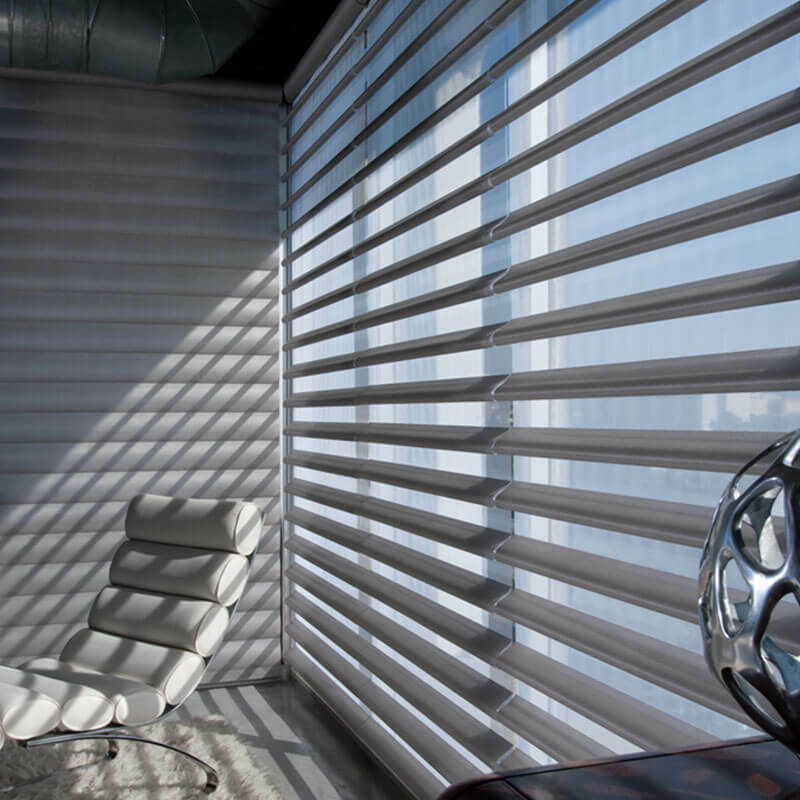 Shade and protect your home from glare, heat and UV rays. 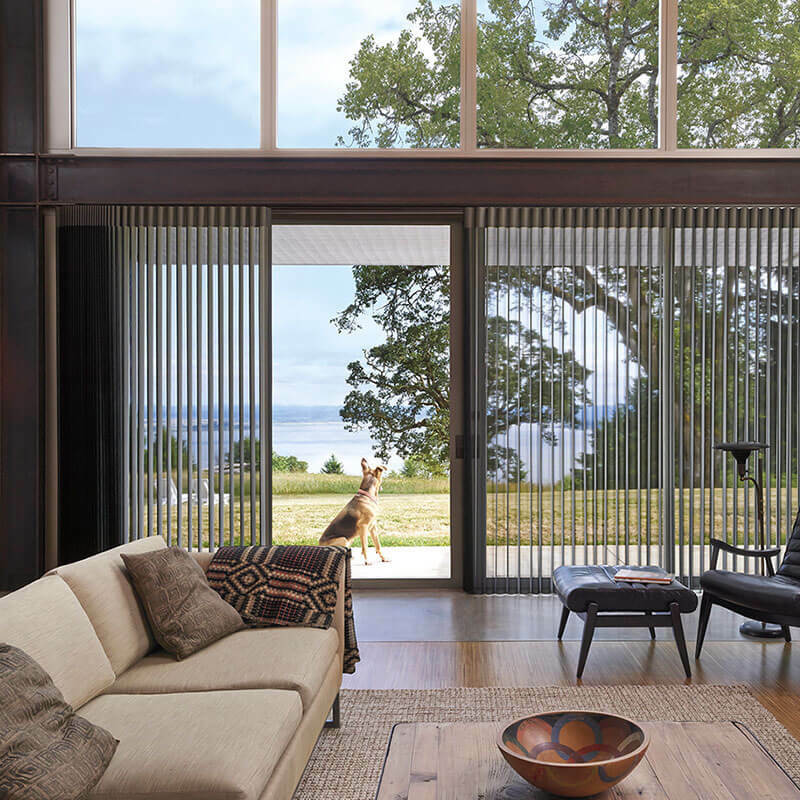 Extend your living area without any unsightly posts or beams. 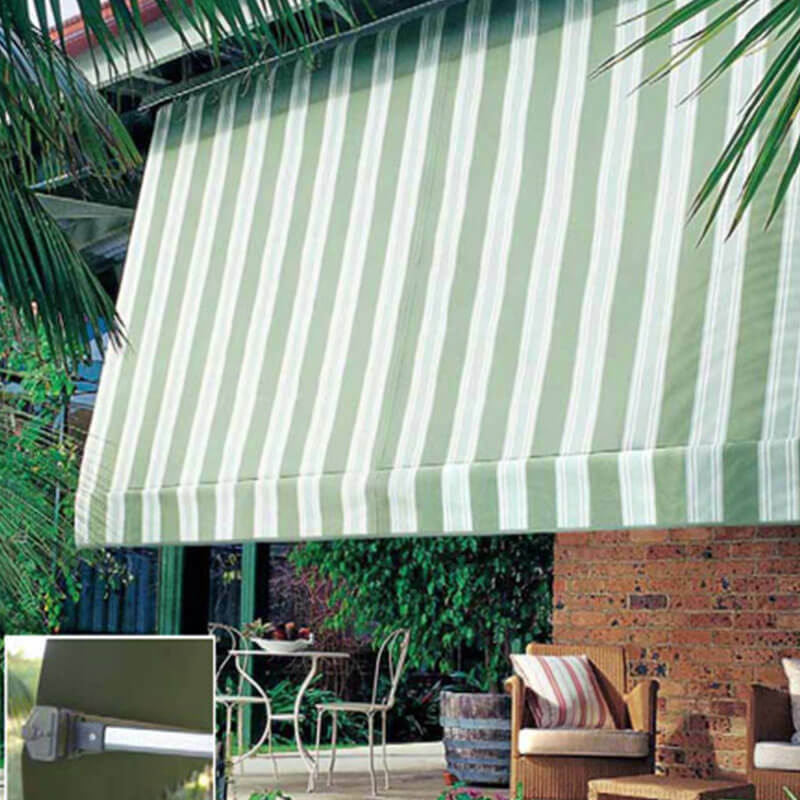 Ideal for courtyards, patios and large verandahs, there’s a Luxaflex Folding Arm Awning for every outdoor environment. 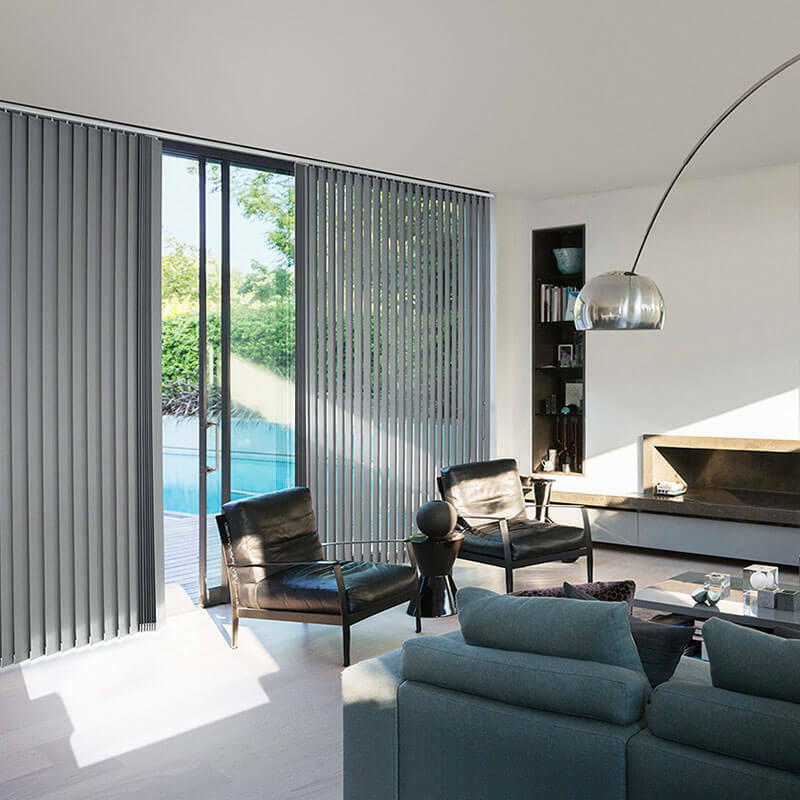 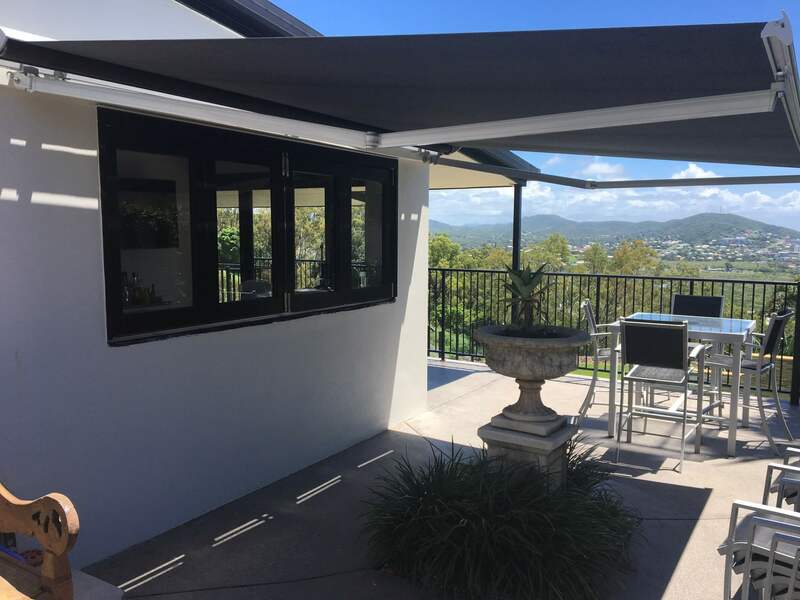 Luxaflex Contemporary Series Folding Arm Awnings combine high-quality sun shading solutions for your home with modern designs to enhance your outdoor living area. 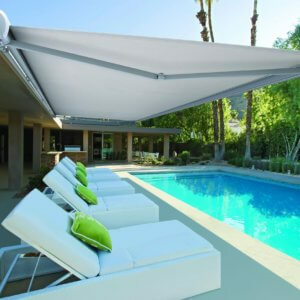 Folding Arm Awnings can be operated by either or a manual crank or by using motorisation for the ultimate in luxury and ease. 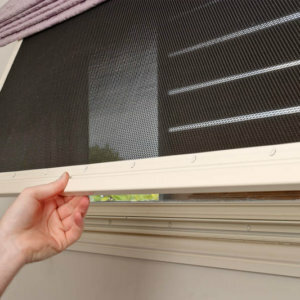 Some models offer a wind or sun sensor. 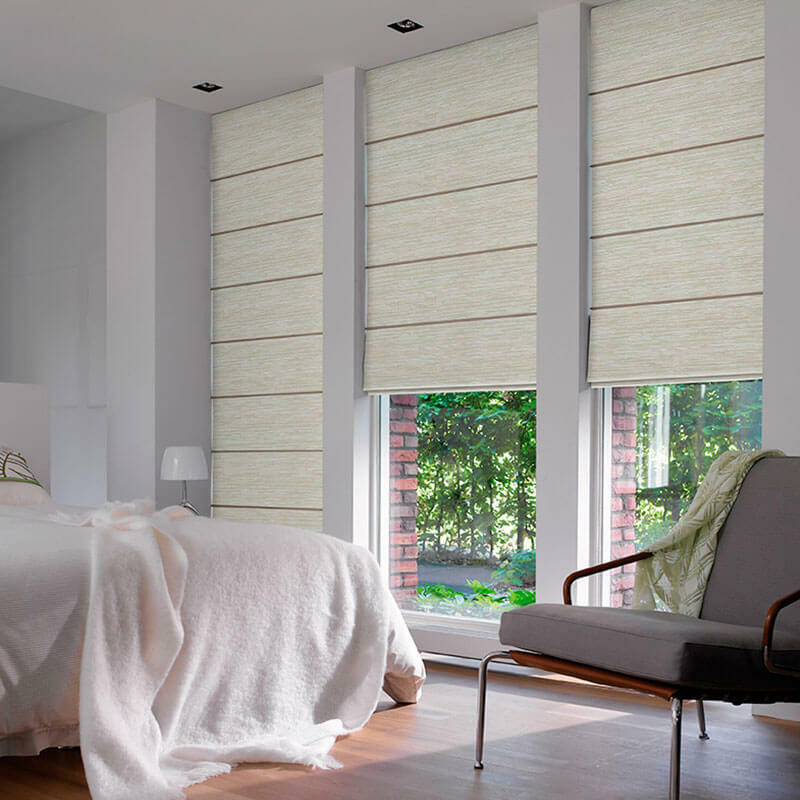 Motor control features both handwired and RTS options allowing control with the touch of a button. 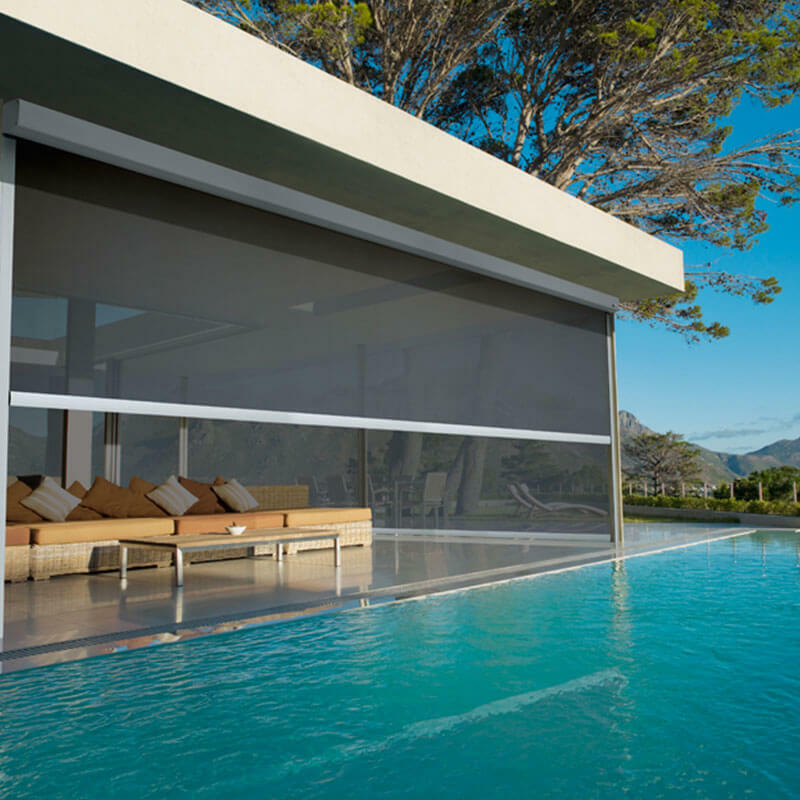 New joining technology provides the option of 13m wide by 4m projection as a single awning, providing the capability of being suitable for large outdoor areas. 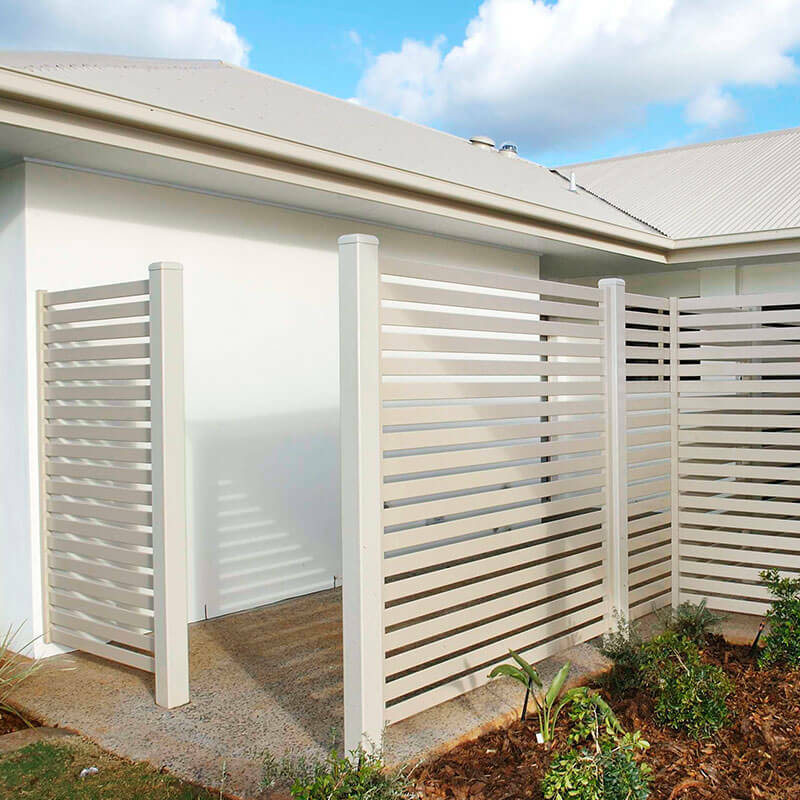 Many options are corrosion resistant and salt spray tested for homes close to the water. 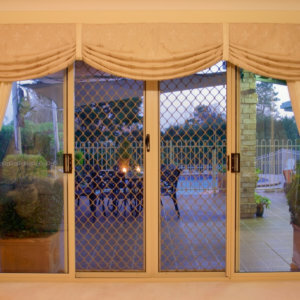 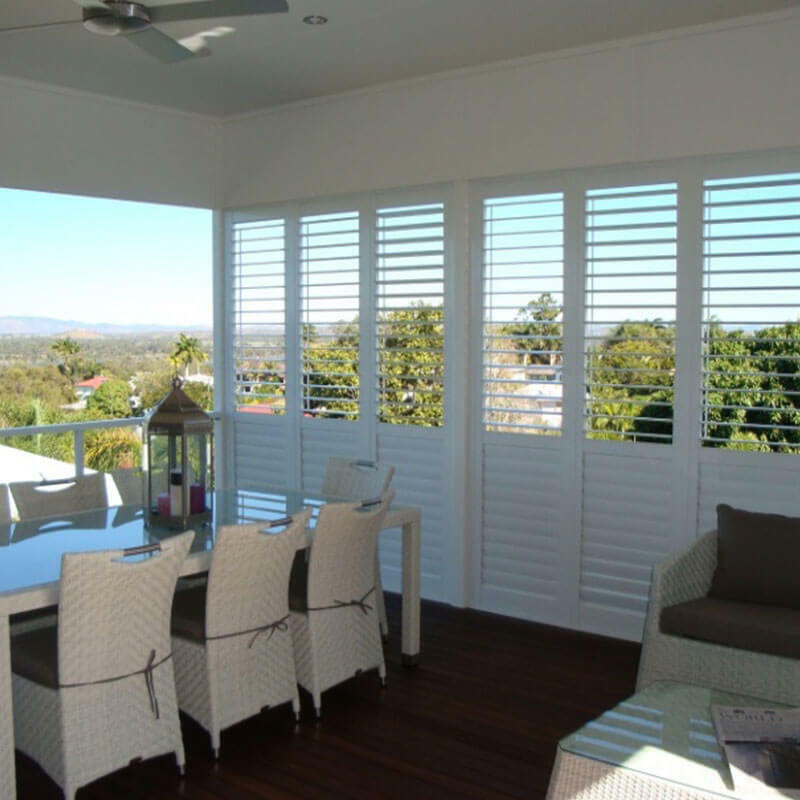 Make the most of year round alfresco living with in-built heating systems providing warmth for those sitting beneath. 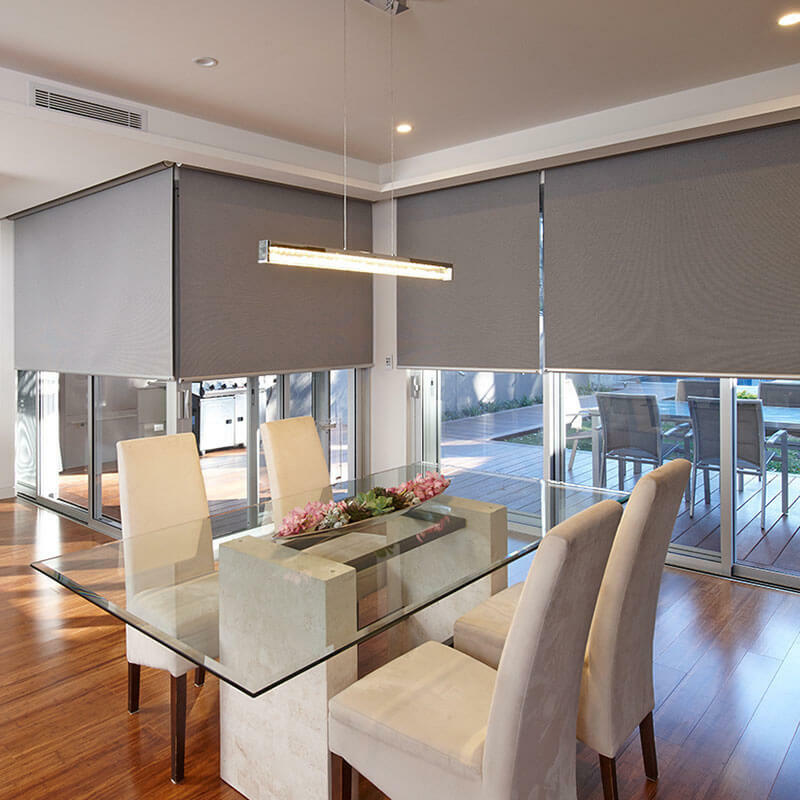 To create ambience and allow for evening usage, there are lighting options available. 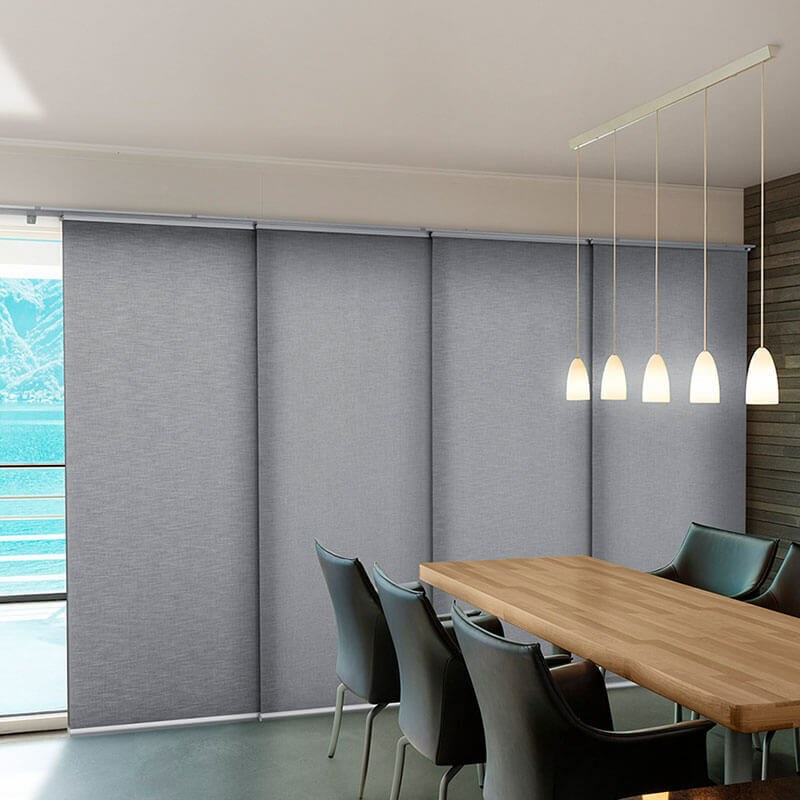 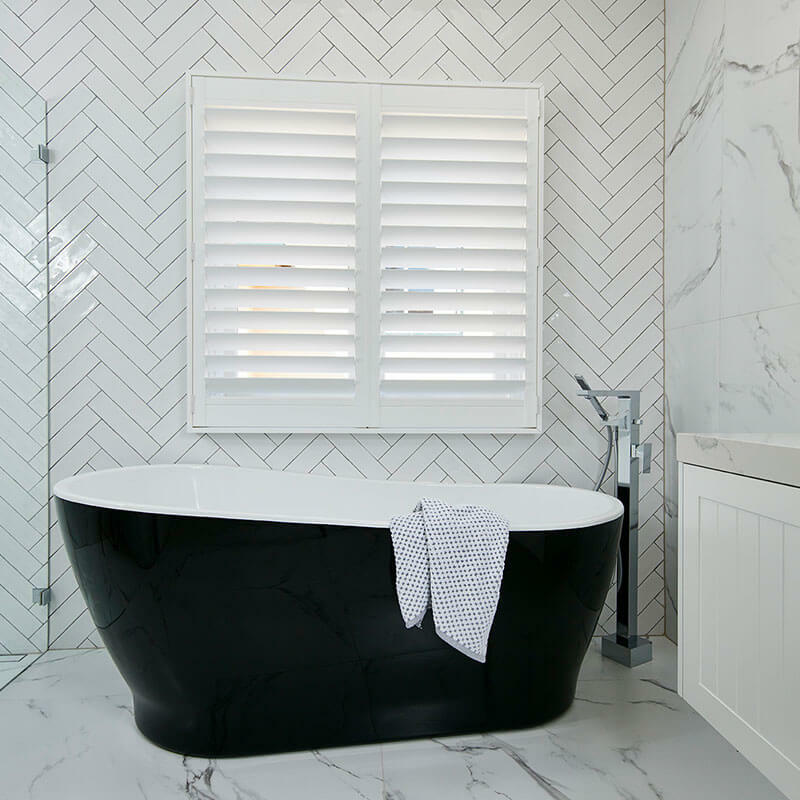 Choose from a wide range of fabrics and hardware colours. 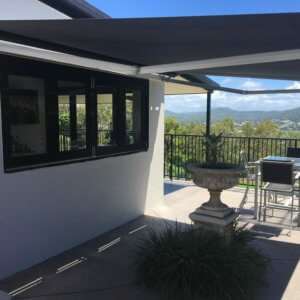 All awnings utilise a heavy duty 85mm steel galvanised roller tube, eliminating the need for centre supports and minimising tube deflection. 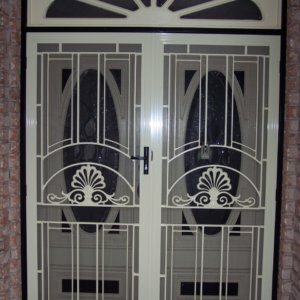 The majority of components are made of special hardened cast aluminium ensuring strength and longevity. 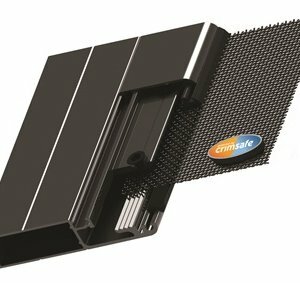 This also eliminates the amount of plastic used in the systems which minimises components which may chip and scratch easily. 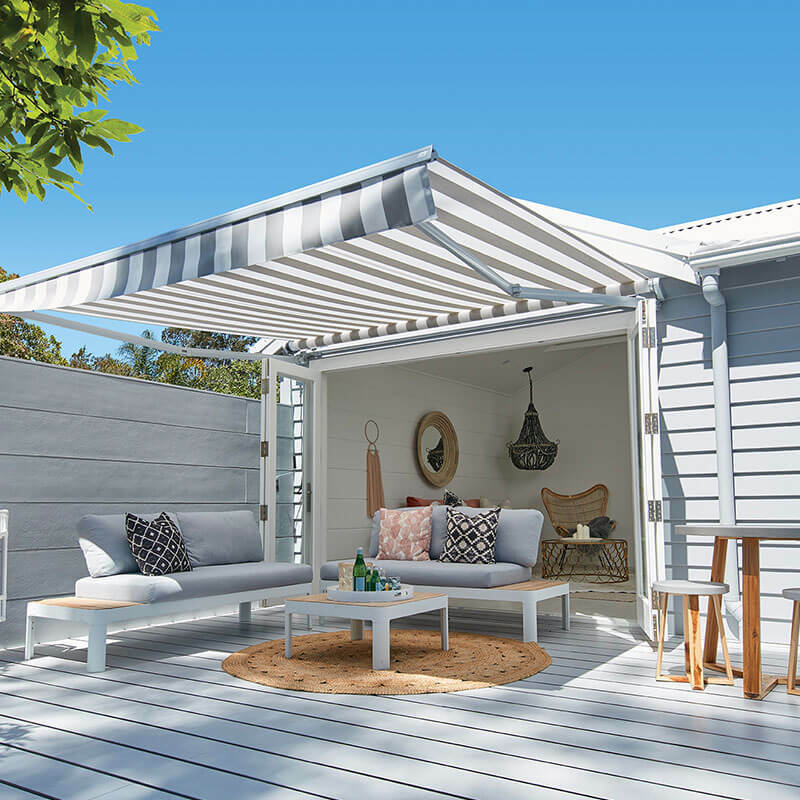 The Folding arm awning range is German designed and engineered for enhanced durability in the harsh Australian climate. 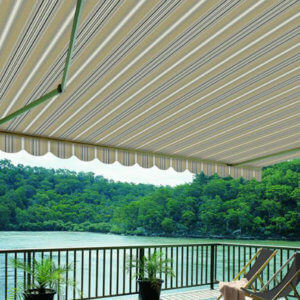 Designed in a simple, non obtrusive, rounded rectangle design, this retractable outdoor awning suits almost any home style. 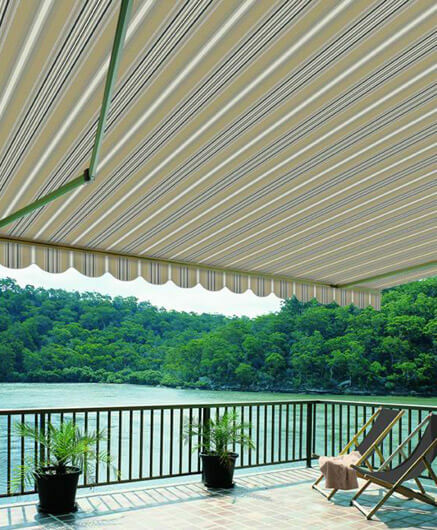 As a full cassette awning, it hides all fabric and hardware when retracted. 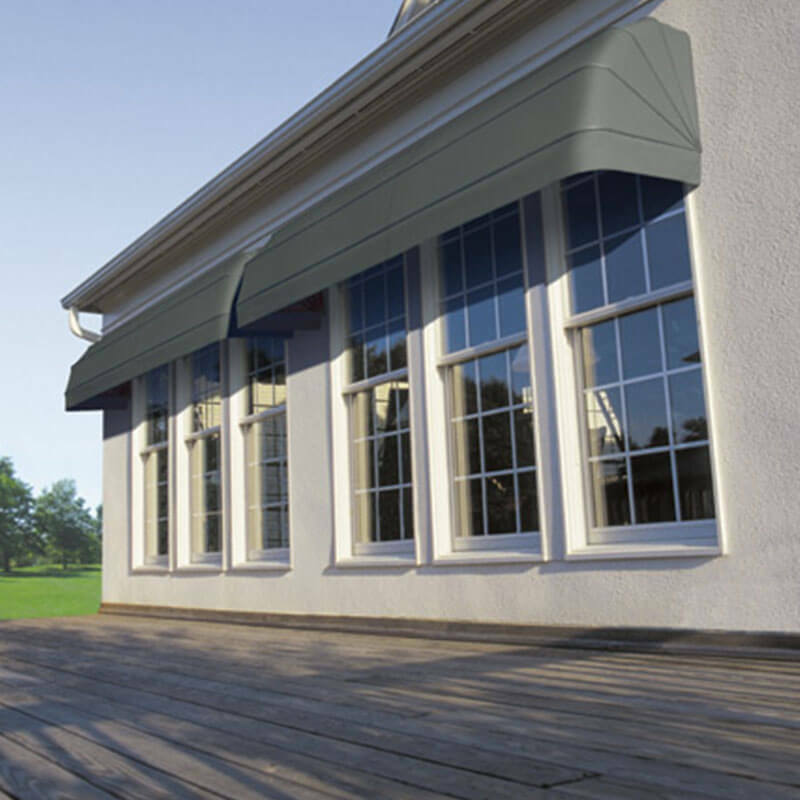 The Como Folding Arm Awning represents the top level of Folding Arm Awning luxury and when the awning is fully retracted all hardware and fabric is concealed inside the casement, giving a neat, clean look. 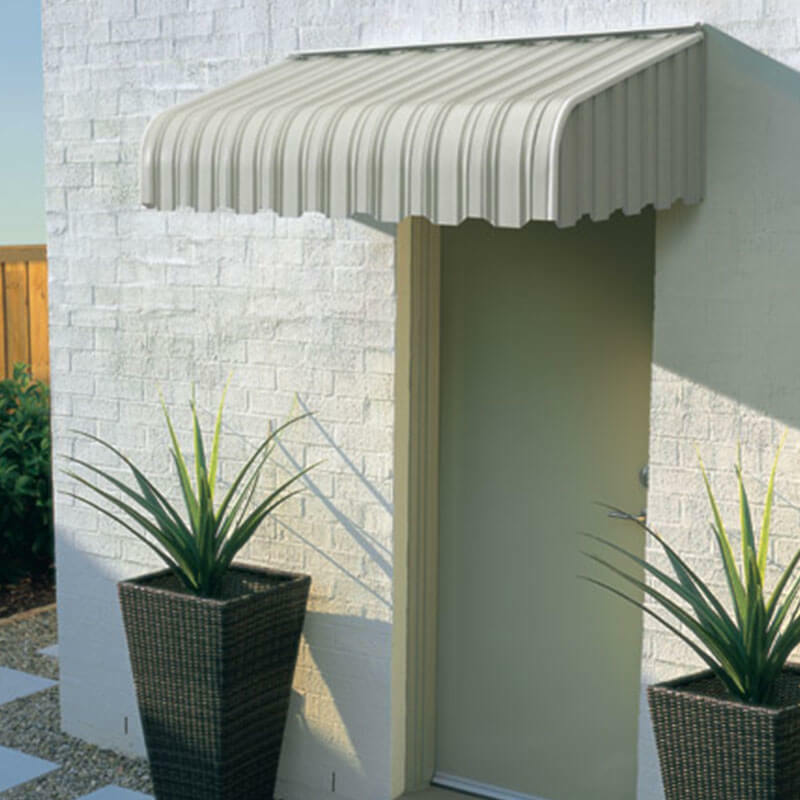 The first in the Contemporary Series of Awnings, the Luxaflex Sunrain Awning provides protection from rain or shine. 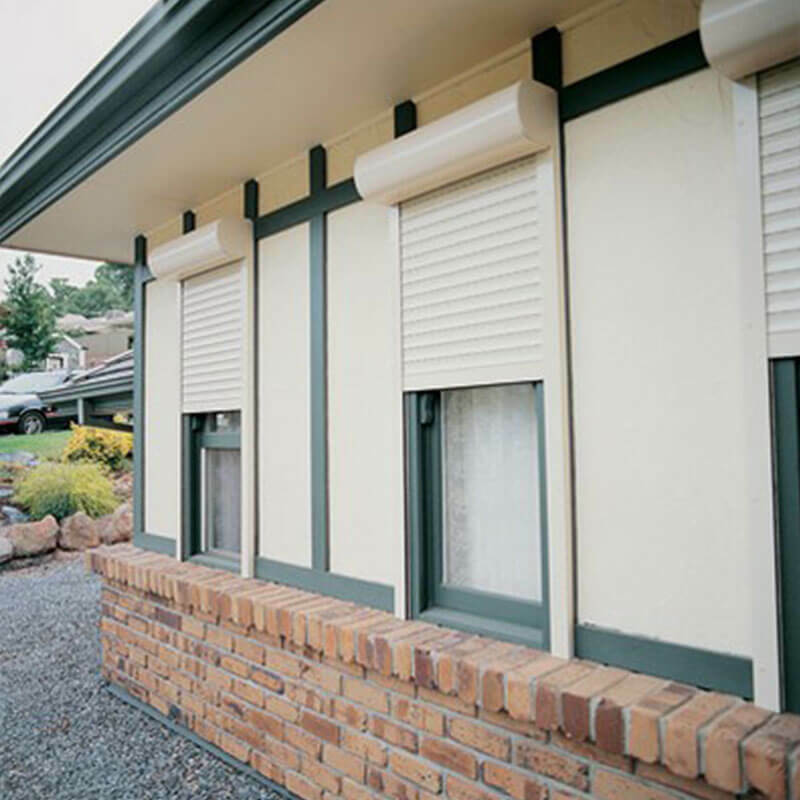 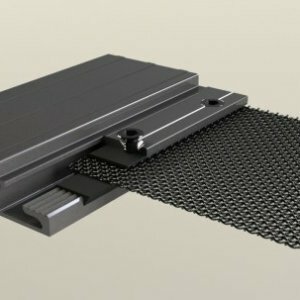 Due to its unique double pitch design, rain water runs off the waterproof PVC fabric and drains out both sides of the custom drainage front rail. 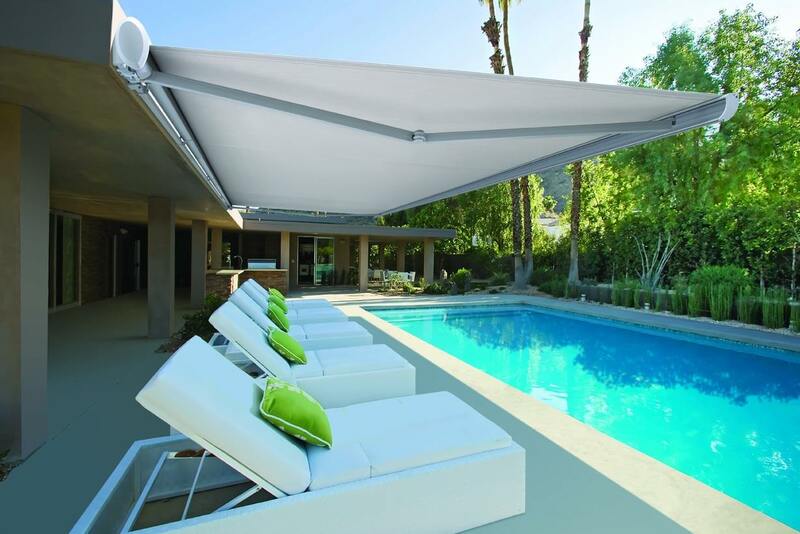 The unique Middle Stringer braces the arm at the flexing point providing extra strength and stability when the awning is fully extended. 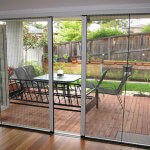 Easy installation with a variety of mounting options, makes it ideal for patios, terraces and pool sides.